The receiver provided with the Patriot/Ranger gate operator operates at 433 MHz and may or may not be compatible with your garage door. If receiver frequency is not compatible, this optional kit can be easily installed in your garage! 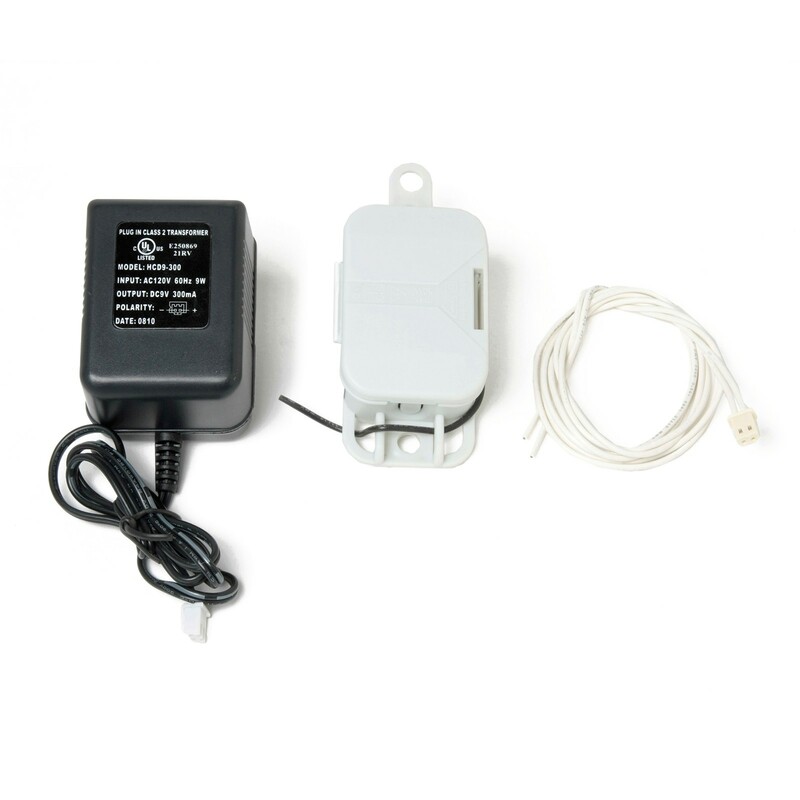 The kit contains receiver, transformer and a wire harness that easily installs to your existing garage door. One receiver will be needed for each garage door. All existing transmitters used for your garage door will continue to operate, as they are not being disconnected. Includes mounting hardware. To program the receiver, open receiver box cover. To open, place small screw driver in slot. Press the learn button. Then press the transmitter button that will be used to open the garage. See garage opener for connecting the 2 wires supplied.